built with an FHA-insured mortgage. Belmar Gardens borders East Liberty, Homewood and Penn Township. Our community -- located on one of Pittsburgh’s “high points” with a view over the city -- is situated on a curving stretch of Vann Road, which turns into Tilden Street to form a continuous semi-circle. The first of the two and three bedroom units were built in 1952, when Belmar Gardens was incorporated by a group of African-Americans who were unable to get mortgages through banks. Forty-three years later (in August 1995), the mortgage was paid in full on Belmar’s 118 units. Vann Road & Tilden St.
Belmar Gardens' first residents moved in during October 1954, but the story of our community dates back to 1952 when executives of the Pittsburgh Courier, the black weekly paper, decided to sponsor a housing development for middle income minorities. Mrs. Robert Vann, publisher of the Pittsburgh Courier, extended an invitation to William Brafman, a New York Developer to come to Pittsburgh and duplicate his famed Merrick Park Gardens. Belmar Gardens was developed out of a need for middle-income African Americans to own their own homes because they were not welcomed into middle-income white urban and suburban neighborhoods in the 1950’s. The sponsors got a financial commitment and a 40-year FHA mortgage to build an African American, middle-income neighborhood of townhouses. 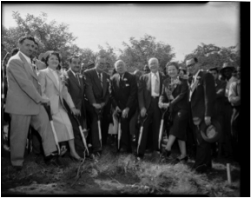 Construction was started in October 1953. Over the next year, a total of 118 units were built on 17 acres, including 100 five-room, two bedroom units and 18 six-room, three bedroom units. The original contractor was Nicholas LeDonne of Clairton, PA. Erwin Gerber, of Newark, NJ was the architect, and Michale R. Cozza of Pittsburgh was the consulting Engineer. It took 18 months of planning and hard work to complete. Belmar Gardens celebrated their Mortgage Burning in August of 1995 when they paid off their $1,212,900 mortgage. Today, Belmar Gardens is owned, run, and maintained by the shareholders of Belmar Gardens. 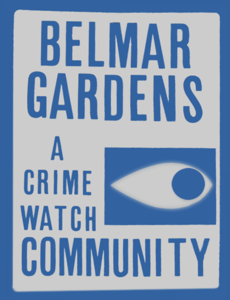 Belmar Gardens is a Crime Watch Community and the shareholder-appointed board members strive to keep Belmar Gardens the prized gem that it is.